In the wake of The Stone Roses success in 1989/1990, the market was flooded with bootlegs proclaiming to be their ‘lost’ debut album. In fact, they were lifted from demo tapes that had circulated around Manchester between 1985 and 1988. Musically these early sessions were generally quite rough – although there were some fascinating works-in-progress and numerous songs which never saw the light of day. Most stemmed from the Stone Roses’ first proper stint in the studio. This album’s worth of material was taped after the group signed to Thin Line Records in 1985, a label created by their then manager Howard Jones. Thin Line drafted in the city’s leading producer Martin Hannett, to oversee the sessions at the local Strawberry Studios. But the band and label famously fell out and the sole product of Hannett’s work with the band was the debut single, “So Young/Tell Me”. 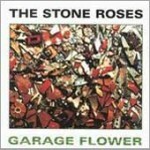 In 1996 Garage Flower Records issued the majority of the Hannett sessions under the title of “Garage Flower”. Rumours suggested that Silvertone had inherited these tapes (they were published by Zomba, Silvertone’s parent company) and decided to issue them in the wake of the court case and the band’s acrimonious departure to Geffen in 1992. Dismissed by the Stone Roses as nothing more than a bootleg, the release is still a vital piece in the band’s early history. The Garage Flower release finally saw the majority of the Roses demos and out-takes see the light of day but there is still a few rarities to be issued commercially. Text adapted from a Record Collector article.